Ahhhhh, finally Friday! The sun is shining, and we’re headed to a fish fry over the border in Wisconsin. I’ve longed for days like these allllll winter, and they’re finally upon us. 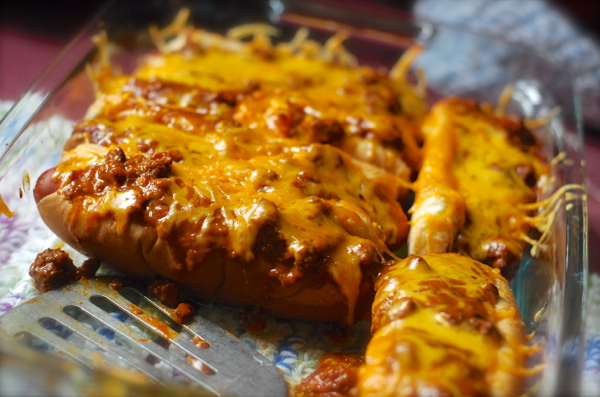 I made up a big batch of these toasty oven-baked chili cheese dogs for my grand girl Maddie’s birthday this past weekend. They’re SO easy and so good! Count on one per person, or two (for really hungry people.) They’re very filling and rich with all that chili and gooey cheese! 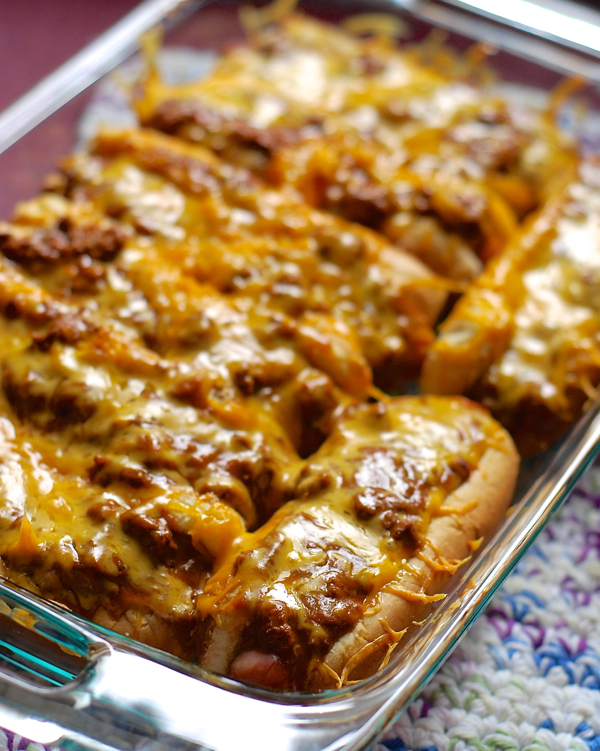 Place the hot dog buns, side by side, split side up, in a 9×13 glass baking dish. 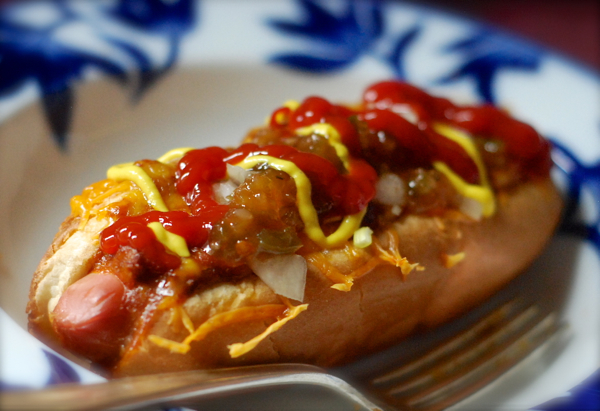 Put a hot dog in each bun. Divide the can of chili among all 8 hot dogs, using up the entire can. Sprinkle hot dogs evenly with the shredded cheddar cheese. Tent aluminum foil over the baking dish (so the foil isn’t touching the cheese.) Bake for 30 minutes at 375 degrees F.
Plate and top with your favorite condiments.